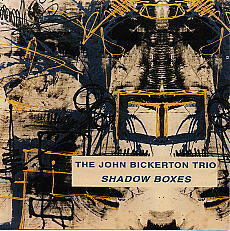 John Bickerton piano; Rashid Bakr drums; Matthew Heyner bass. I am no young lion, and I am happy not to be one. I learned about jazz in the 1970s; and the groove, then, was to find your own sound. That was the premium! Not, how well you reproduced the sounds of the past (John Bickerton). John Bickerton has arrived. He achieved the ultimate goal of a musician to find his own sound and his own personality.